Ricky Trlicek made a good early impression in April 1994 with his new team the Red Sox, according to The Associated Press. Trlicek came on in the middle of a jam, in relief of Frank Viola. He didn't allow a run to score, facing five batters and getting all five out, The AP wrote. "I was pretty pumped up out there," Trlicek told The AP afterward. "The most important thing, coming in with runners on, is throwing strikes. You don't want to get behind" in the count. Trlicek joined the Red Sox for his third season in the majors. 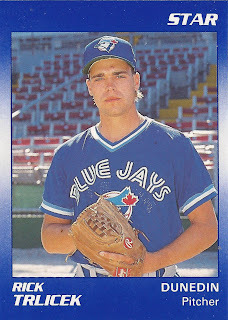 He previously played for the Blue Jays and Dodgers. By the time his career ended, he'd seen five big league campaigns and 87 appearances. Trlicek's career began in 1987, taken by the Phillies in the fourth round of the draft out of La Grange High School in Texas. Trlicek is also credited as Rick Trlicek. Trlicek started with the Phillies at short-season Utica and then played 1988 at short-season Batavia. 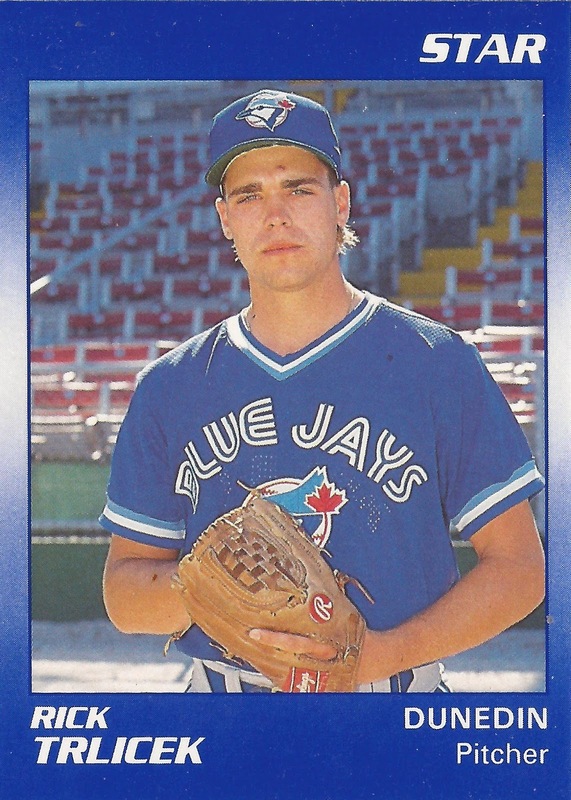 He moved to the Braves system and single-A Sumter for 1989 and then to the Blue Jays and high-A Dunedin for 1990. He made AA Knoxville in 1991, then AAA Syracuse in 1992. He started 1992 in Toronto. In two outings, 1.2 innings of work he gave up two earned runs. He gave up both runs in his debut. For 1993, the Dodgers selected Trlicek off waivers. He then spent the entire season in Los Angeles. He got into 41 games in relief and turned in a 4.08 ERA. That June, he got himself ejected and suspended after hitting Gary Sheffield with a pitch. Sheffield charged the mound and took Trlicek down. "I saw Carlos (Hernandez's) shin guards as I was going down," Trlicek told The Los Angeles Times afterward, "so I knew help was on its way." He then pitched in 12 games with the Red Sox in 1994 and make the majors at all in 1995. He returned to the majors for five games with the Mets in 1996 and then played in 27 games in 1997 between the Mets and Red Sox to finish out his major league career. In all, Trlicek went 5-8 over his 87 big league appearances, with a 5.23 career ERA.